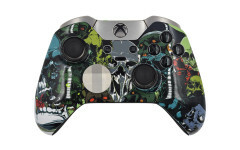 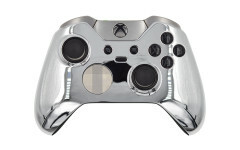 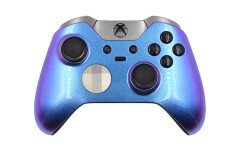 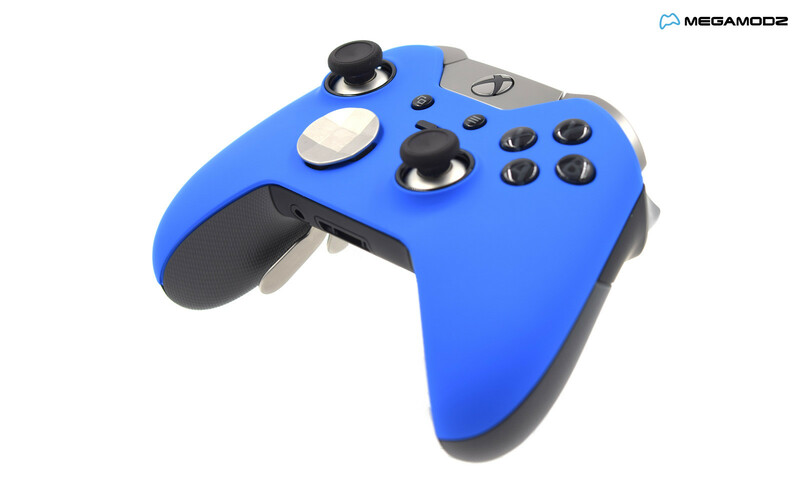 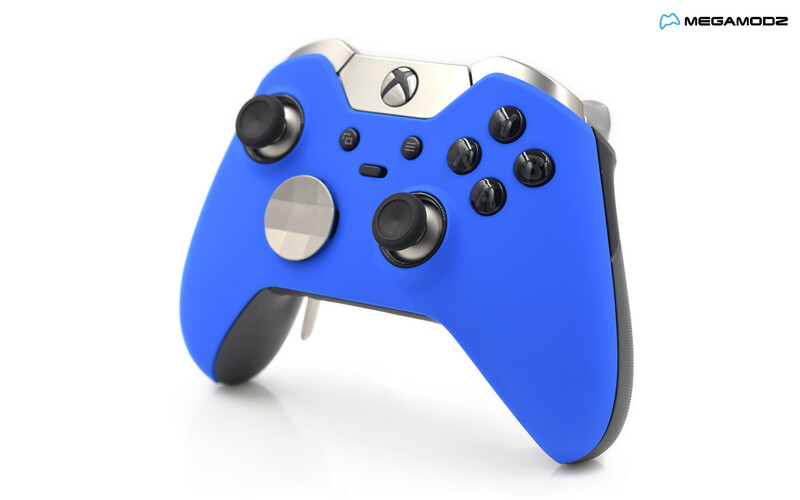 Are you ready to give your Elite Xbox One controller a new spin with a custom painted faceplate? 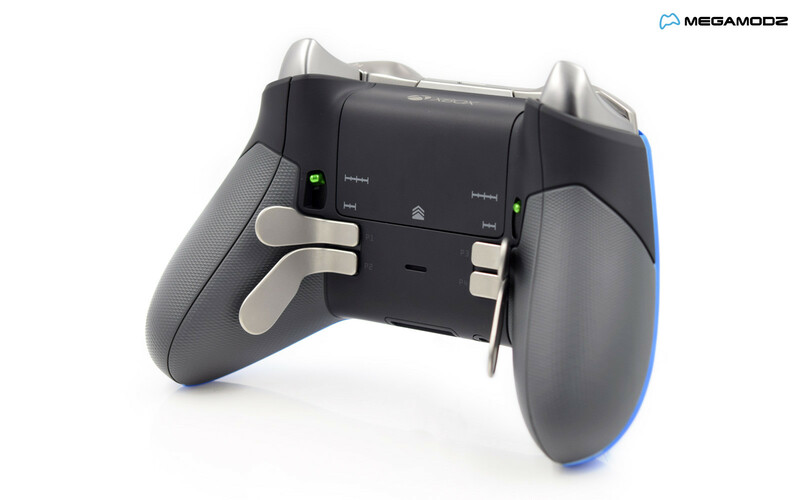 Solid Blue design coupled with the factory performance enhancements create a powerful gaming pad of the next generation. 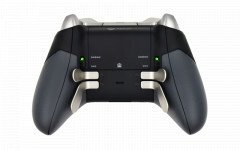 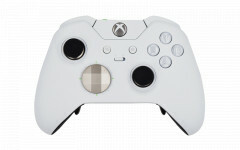 A variety of gameplay improvement abilities affect the controller main functions such as movement control, level of precision, trigger and button sensitivity, even the brightness of the LED indicator can be adjusted. 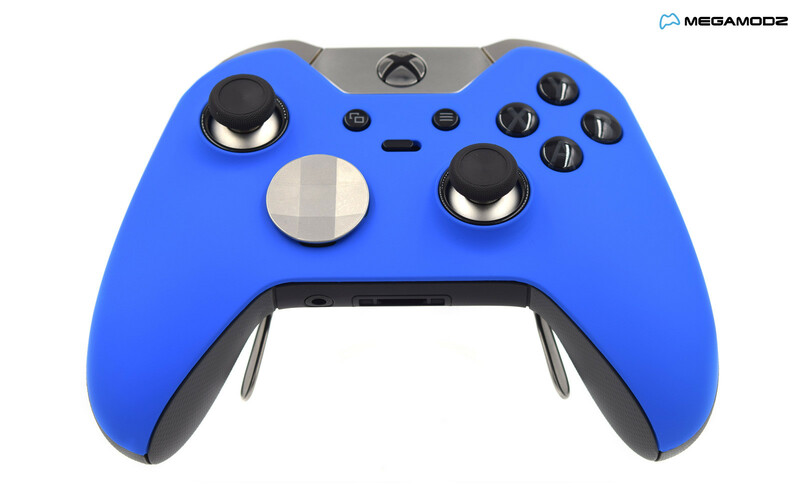 While most customizations are available through the Accessories App, you will be to personalize how the controller feels in your hands via a set of removable and interchangeable elements like paddles, d-pad, hair triggers and more. 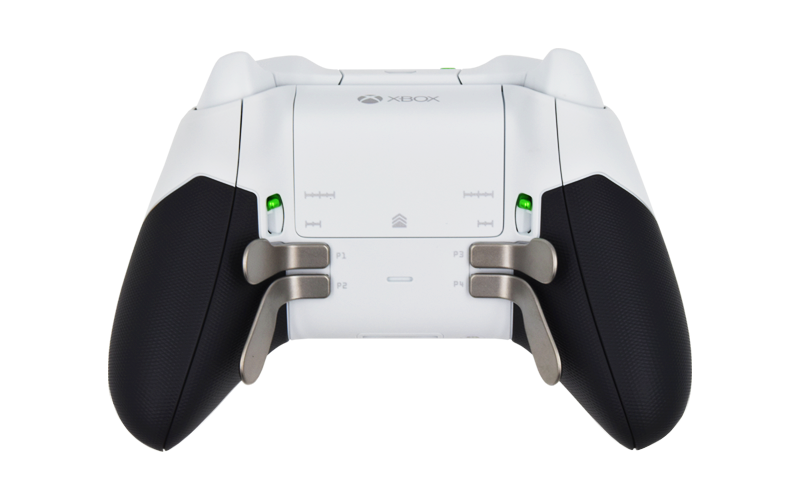 Change the gaming routine you have used to and level it up with the Microsoft leading gaming pad!